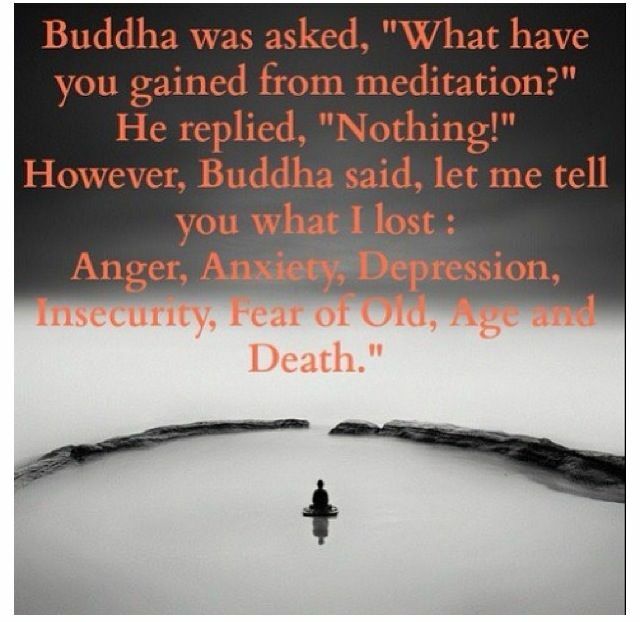 I often hear people say that they can't meditate. They've tried but they just can't seem to turn the voice off inside their head which, I completely understand. It took me a very long time to find a comfortable seated position and close my eyes, even after reading ALL the research out there that suggest it is life-changing. Eventually I found yoga and fortunately, I was forced, so to speak, to sit quietly at the beginning and end of class which allowed me to play around with the sensations in my body, with quieting my mind and letting go of any unnecessary chatter. I think many people are intimidated by meditation because they have a one-size fits all kind of mentality. They believe you have to do it a certain way or it doesn't count. This, for many years, was my thinking exactly. I was so caught up with this idea of having to do it a certain way, I was so black and white with it, that I failed to see the underlying benefits of just showing up and trying no matter where I was or how long I did it for. So today I want to demystify what it really means (to me anyway) to meditate. Meditation is all about working with your body, mind and soul. It's about finding a place of mindfulness, turning inward, and letting go of whatever it is that's present in your life. It's an opportunity to get to know your truest self, find a deeper connection with who you really are and begin to shine from that place outward into your life. I use to think that I HAD to sit crossed-legged with my hands turned upward, eyes closed, and spine nice and long. Sure that IS one way of doing it. However, there are a million other ways of finding meditation throughout your day. We live in a busy world and we are busy people and true, it would be amazing for all of us to slow down, take fifteen minutes out of our day and find a quite spot where we can sit and focus on our breathing but in reality, for many of us, that's just not possible. This doesn't mean you can't meditate. There are many opportunities throughout the day that were we can take a minute to find a quite space in our mind. While you are in the shower, when you are watering the garden, or even sitting at your desk at work. It's not so much about doing it for a certain amount of time or sitting in a certain position as it is about actually showing up to do it and just noticing what is happening. When I was in my yoga teacher training class my teacher told us something that her teacher, Gary Kraftsow told her; just five minutes a day will dramatically change your life. But I'd venture to say even one minute a day would as well. The more we turn inward and seek guidance from our inner self, the more truth we can bring to our life. What you will find, by giving yourself one minute a day is that eventually you will crave two minutes then three and so forth. Something will start to shift inside you. Instead of wanting to react you will want to find stillness and reflect. Maybe not at first, it may take awhile, many years in fact. Maybe at first you will still want to yell and scream but eventually, you will find that this way of being no longer serves your life and your need to react to your world will fade away and your desire to listen will grow. Although some people may disagree with the above I truly believe that at the core of it all, it's about being more mindful and looking at life through a wider lens. No one is perfect. Give yourself room and patience and try to let go of the need to do one thing one way and one way only. If you want to start bringing one minute of practice to your life you may want to try this. * Close your eyes and begin to focus on your breath. Don't stress out and think just because you still have thoughts floating around that you aren't meditating. Just acknolege that thought without any judgement and bring your attention back to your breath. * You can, if you choose, focus on your breath or you can repeat a mantra, something you want to become more present in your life. This is like an affirmation. * Do this for a minute and if you like, work your way up to longer each week, or just stick with a minute and maybe do this several times a day when you feel compelled to do so. However, if all you ever do is one minute then that is perfect. * Open your eyes and notice the subtle shifts in your energy, your mood and your perception. What are your thoughts on meditation? Do you have a practice or is this something you say you just can do? Share your thoughts in the comments below and if you thought this post was share worthy, please feel free to do so too!